Elements Applied: Plant’s green parts are applied in herbal medicine. 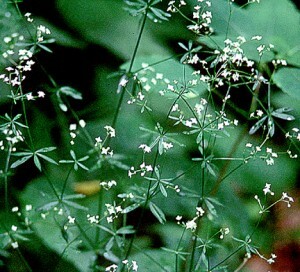 Used For: Bedstraw is applied in the majority of cases where cleavers is applied, but its action is a bit more extensive. Moreover, bedstraw tea is suggested for dropsy and epilepsy, due to its sedative property. Additional Info: Bedstraw is indigenous to dry areas of northern and eastern USA, as well as European meadows and pastures. Its smooth and square stem may reach from 6 inches to 3 feet in height, and is covered with linear leaves. The plant blossoms from late spring to the beginning of autumn, when little yellow-colored flowers appear in multiple panicles. Preparation and Intake: To make an infusion, take one tablespoon of dry extract for half a cup of water. Infuse the mixture. Use at a dose of a cup a day, straight after preparation. Juice is taken in a quantity of one teaspoon for half a cup of warm water, during the day.